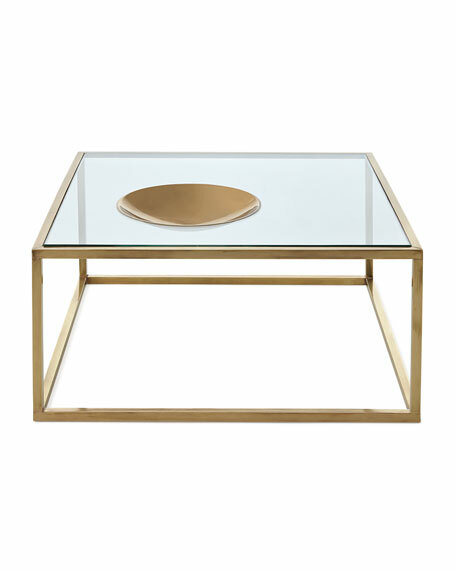 Brass and glass square coffee table with an inset brass bowl charger accent. Glass is cut and bowl sits in glass. 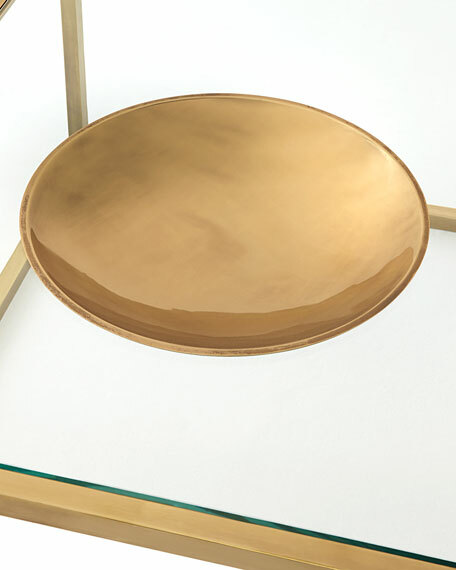 Brass bowl inset in glass top. Weight limit of 50 lbs. 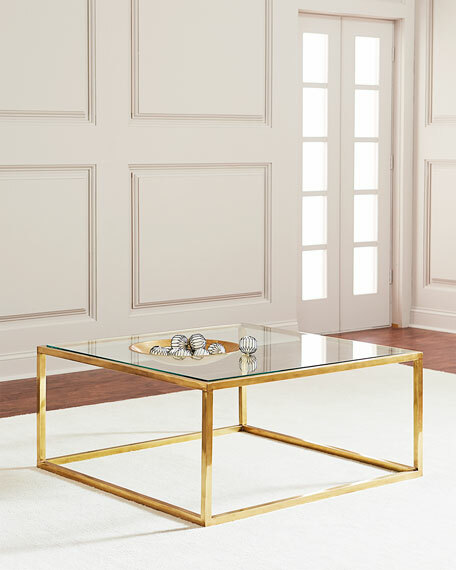 For in-store inquiries, use sku #2298757.